Any good wheel repair shops!? NEED HELP! I know of a place that redid my OZ's and they were mint. I'll look up the place and let you know. The cost will run you from 100-200/rim. Powder coated wheels will always last a heck of a lot better and should be something to consider. Here is the information you need, they do top notch work. sorry to see this jacky, but with chrome, NO shop in GVA can fix it. I got my wheel redone at panthers, even they said no 1 can do it here. they said they can ship it down to the states and redo it, but that will cost about the same price as buying new 1. I'm afraid AK-47 is right. At my work we send all our wheel repairs to Nu-Brite in surrey. But when in comes to chrome plating nothing can be done. 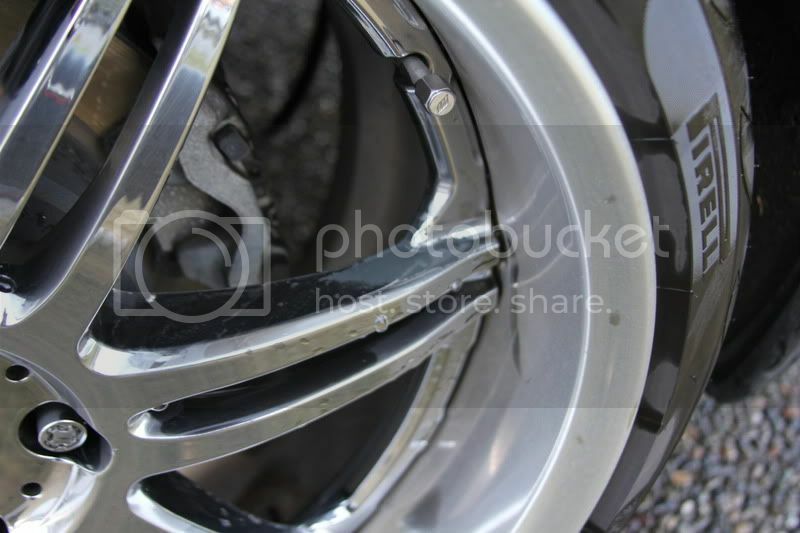 There is another shop in richmond who repairs wheels called Green's Automotive and they have a chrome and black chrome paint but it doesn't look like real chrome. If you want to fix it locally you may have to strip the chrome off and just paint it another color. Chrome get damaged really easily in Vancouver climates with all the snow and salt/chemicals they put on the road here. Thanks for the info guys. Yea i've been getting quite a bit of recommendation to Nu-brite. I'll try to give them a call upcoming week. Doug, yea... can't believe this happened.. How long did panthers take to redo your wheels? Yea, I'm pretty sure i have no choice now but to strip down the chrome. My question now for all you guys is, are the wheel shops able to strip down all the chrome and possibly to a brushed aluminum finish on the wheel? This is my first time doing repairs on wheels so i have no clue what process is possible and not possible. Last edited by YaKuZa_GS; 02-21-11 at 10:33 AM. You wont like my answer to this, from what panthers and greens told me, is that they cant strip your old chrome down, that's y they have to shipnit down to the states. It told the 1 week to redo my TE. But my te's aren't chrome, so is easy with my case. 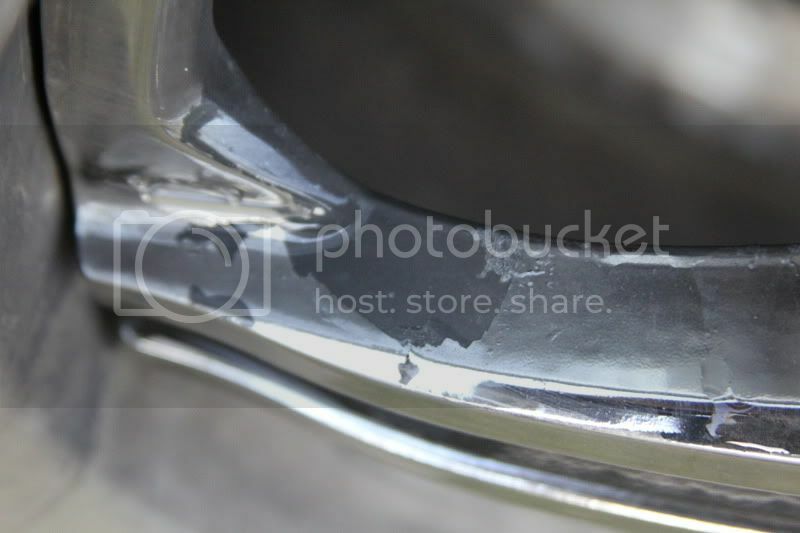 Y I knew this Cuse i have a friend with set of vs-kf in chrome also, and he want to redo the lip only. And that's what they told me. Your answer to this is Not repairable, or I should say is not worth it to have it repair. Last edited by AK-47; 02-21-11 at 03:59 PM. Thanks Yakuza_GS!, I just gave them a call as well. Yea i'm looking at around $300 per wheel... Geeze $1200 total.. Bringing in the wheels tomorrow to let them check it out in person. I have a feeling they're still in a debate if they can even strip the chrome... That pic you provided is exactly what im trying to go for but just hoping now that they can do it. fml.. I dont even know how much i can sell these rims now since it's in this kind of condition.. I'm in a debate of selling these and going a different route but T1S is my all time favorite.. so not sure if i want to give up yet.. Regret badly sticking on my wheels last week... Should have waited till spring..
Any updates? did you get the work done? First off, Thanks Yakuza_GS, measured, zoli21, ak47, stormforge and K1_GSE21 for giving me infos and helping me out!! So instead of giving it to someone else to do it, I decided to do it on my own cause the prices they quoted me were ridiculous like you guys mentioned.. I just can't bare to spend that much money on something like this.. :P.. Here is what i've done to it! Last edited by J250; 04-19-11 at 11:34 AM. Just read your DIY Work rim repair thread, I am very impressed. I like how the inner spokes are matte black and kudos to you for being unique. I think the outcome is great and definitely saved you alot of money. If I was in your shoes, I would of done the same. Quick Reply: Any good wheel repair shops!? NEED HELP!